Visit Glasgow from the west and you’ll be met with a metal menagerie. It’s impossible to miss; a whole hillside of animal sculptures welcomes you to town. Less obvious is the animal attraction at the city’s center. 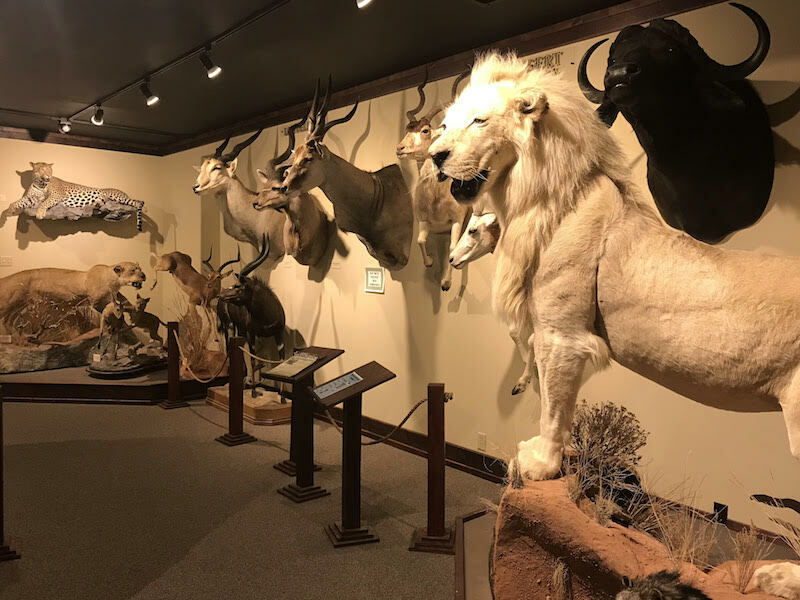 Within the Children’s Museum of Northeast Montana is an incredible wildlife exhibit featuring animals from around the globe. Like a taxidermy zoo, more than 100 species are represented here. Anyone can enjoy the exhibit, but educating children about the world’s beautiful and interesting wildlife was always a passion of the exhibit’s donor, Skip Erikson. All but two of the animals were hunted by Erikson himself, collected over the course of his lifetime. For many years, Erikson’s home served as a wildlife exhibit. School children would tour his personal collection and learn about the unique animals he’d encountered. In 2010, he approached the Children’s Museum about hosting his collection. “He wanted to include an equal amount of animals from the northern and southern hemisphere. He designed the wildlife display to be divided that way,” Fast explains. In 2015, Erikson passed away from cancer, but the Children’s Museum has carried on his mission. The Children’s Museum hopes to purchase a touchscreen kiosk and may even develop its own mobile app that visitors can use to learn more about the fascinating animals on display.